In order to provide highly-customizable, easy-to-use tools, MinMax Technology works closely with customers to introduce new SMART features on an on-going basis. 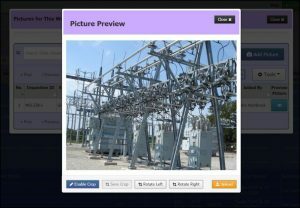 Based on the feedback received from the SMART administrators and supervisors, we have upgraded the customization features available for uploading pictures. The new release – SMART Rel. 7.6 – will provide you with savvy picture editing capabilities such as cropping, rotating, and uploading with a 50% compression – all with a single click from the field. You will be able to speed up the online upload of high resolution pictures by automatically compressing them when you click Upload. Are there new features you’d like to see in a future version of SMART? Let us know.